The City of Oakley understands the positive impact that local businesses have on our community. 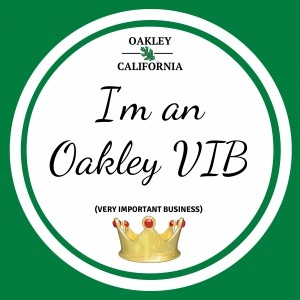 Oakley’s Economic Development program is highlighting local companies through the Oakley V.I.B. Program. Staff is now visiting local companies to learn more about their business and to showcase them to the Oakley community. If you would like your business to be featured through this program, please call Dwayne Dalman, Economic Development Manager at (925) 625-7006. 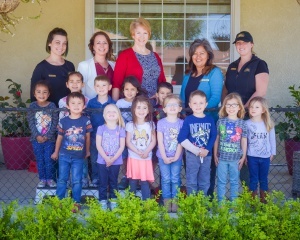 Sunshine House Preschool is a local, family-owned, all-day preschool where “you will find the personal touch to satisfy your family’s educational daycare needs.” Sunshine House has been in business for 33 years, including 23 years in Oakley. Completely unique to Sunshine House is its propriety learning program, which incorporates all learning styles. Children are placed in teacher directed learning groups according to their developmental level. 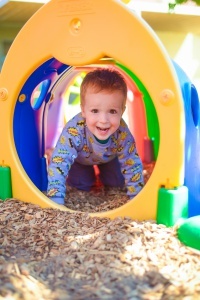 Outside of learning groups, opportunity for mixed play (2-5 years) provides advanced language and social development. This perfect balance of teacher-led learning and free choice academic activities, has children soaring towards lifelong learning. Sunshine House is most proud of their teaching staff. Staff’s average tenure is an unheard of 10 years! Sunshine House is a year-round, affordable preschool with open enrollment. Admission preference is given to friends and families of currently enrolled children. 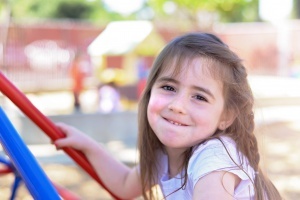 To learn more about Sunshine House Preschool, visit their website at www.SunshineHouseCA.com. 1. How is your business doing? Sunshine House Preschool has been in business for 33 years. We have five locations – one in Oakley, three in Brentwood and one in Martinez. We have been in Oakley for 23 years…and looking for our next location. 2. What is happening in your industry? Public awareness has become keen about the absolute necessity for quality early childhood education. It has been said, that it makes more sense that if you had to borrow money for your child’s education, that you would invest in the early years above college, so crucial is this time! 3. What made you choose an Oakley location? We had a successful program in Brentwood and parents from the Oakley area were clamoring to get into our school. We found a spec house and converted it. 5. How would you rate your interaction with the City of Oakley? We love the new idea of the VIB website…Brilliant! Stonecrest Lending is a local mortgage company that provides residential financing and education while specializing in home loans for Veterans, their friends and families. With over 30 years of experience in the loan industry, Stonecrest understands all the ins and outs of the home loan process. Stonecrest Lending started in 2008 and offers VA Loans, FHA Loans and Conventional financing. They stay in constant communication with their clients through each step of the loan process, educating them and making sure that they are aware and understand exactly what is going on during their transaction. 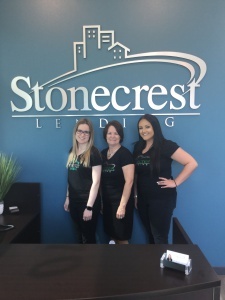 The company’s mission is “to help our clients achieve the home ownership dream and to be there for them not only during the entire home loan process but for life.” To learn more about Stonecrest Lending, visit their website at www.stonecrestlending.net. 1. How is your business doing? Business is doing well. The majority of our business comes from Oakley residents, referrals, and our workshops. 2. What is happening in your industry? A lot of people got out of the business during the recession. We opened in the middle of the recession and became established. We specialize in home loans for Veterans. 3. What sets your business apart from your competitors? We are a wholesale residential mortgage broker. This gives us more lenders to choose from, allowing us to help more clients. Education is a big part of the service we provide. We provide workshops for realtors and veterans to educate them on VA loans. We also do mortgage education workshops to help families get a better understanding of the home buying process. 4. What made you choose an Oakley location? We thought the Oakley market was underserved, and opened our Oakley location in 2008. All of our employees either live in Oakley or have family roots in Oakley. 5. How would you rate your interaction with the City of Oakley? All of our interactions with the City have been good.